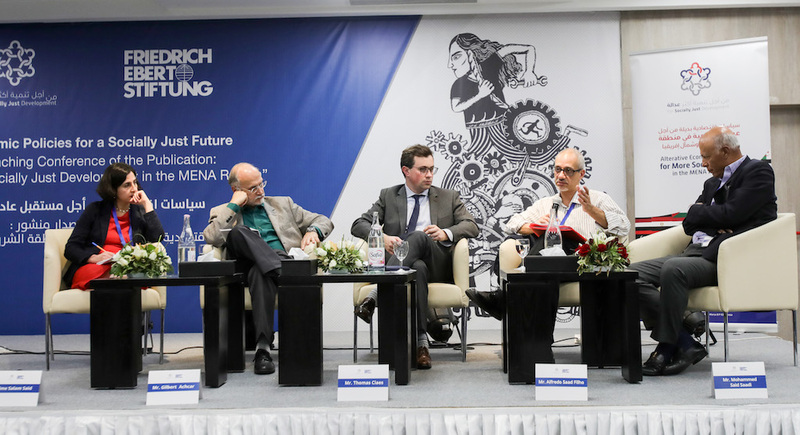 A new publication by FES is set to shed light on the causes and costs of economic injustices and present feasible alternatives for new economic policies in the MENA region. The publication aspires to rekindle socio-economic debate and to set the interests of all citizens in the centre of economic policy. Composed of seven chapters, written by international experts from the region, the publication was publicly launched in Tunis on November 24 and 25, 2017. 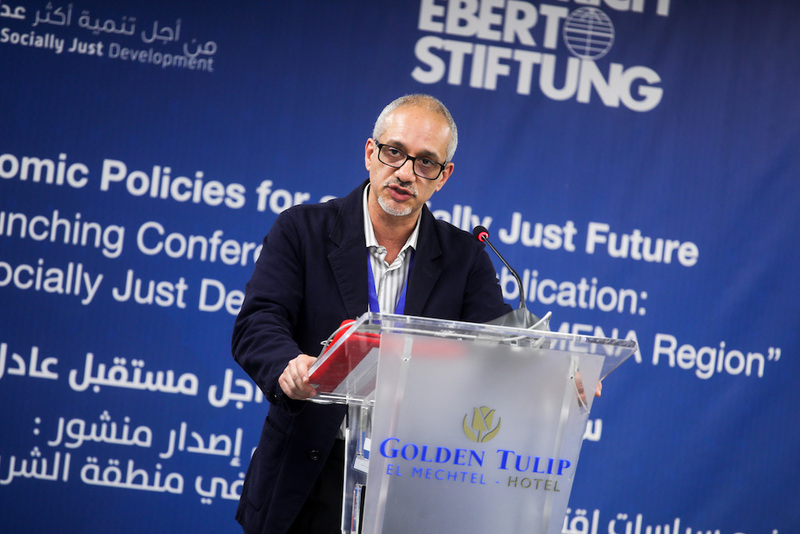 The publication was published by FES’s regional project “For Socially Just Development in the MENA Region”. It is the outcome of nearly three years of work by a group of dedicated scholars from various academic backgrounds and from and/or with experience in several Arab countries. To ensure a truly regional perspective and to include different grievances, propositions and thoughts from this diverse region, a series of stakeholder consultations in eleven countries were held during 2016. On the basis of these consultations the authors formulated their final policy recommendations. The central aspect of the book’s analysis builds on the understanding that economic policies adopted by most MENA countries contributed systematically to social injustice, inequality, marginalization, poverty and unemployment. Alongside political repression and authoritarianism, these factors were the main roots of the Arab uprisings during 2010/11. Since then, socio-economic injustice has continued to grow. At the same time, these injustices have received less public and international attention compared to aspects of security and democratization in the aftermath of the Arab Spring. In this context, the book investigates the underlying factors of stalled socioeconomic development and growing social injustice in Arab countries. The aim of the project is to raise awareness of causal relationships between these factors and neoliberally-inspired economic policy choices, and to stimulate a debate on alternative policies that can improve social justice and increase the standards of living of the population of the region. In addition to the publication, the conference in Tunis was designed to achieve four principal objectives: Firstly, the public presentation of the publication’s chapters by the authors, secondly, offering space for the presentation of country case-studies of economic policies in relation to social justice by researchers from the region, thirdly, to initiate theoretical discussions among participants on crucial questions related to social justice and economic policies in the region and finally to brainstorm on solutions and strategies that counteract neoliberal economic policies in the region and advocate for a socially just and environmentally sustainable development. The relevance of these debates lies not only in touching on a fundamental but strongly neglected political issue in the region, namely social justice. At the same time, the gathering of such a large number of activists, academics, trade unionists and other stakeholders from all over the region allowed for a discussion of the issue from many different perspectives and in the light of the current social, environmental, developmental and economic challenges of each country. The conference was kicked off by a discussion with all invited guests, Tunisian academics and students in the University of Tunis. Here, the publication was first presented and a panel of different experts elaborated how university economics could be repositioned to develop and teach new economic thinking that could take into account the need for justice and development. The conference was joined by a large number of youth from all over the region, who had been invited by FES to participate in the debates and share the experiences of young people. After this initial debate, the public conference began with a Keynote speech on “Neoliberalism versus Social Justice: Policy Alternative in time of crises” by Alfredo Saad Filho from SOAS, London. 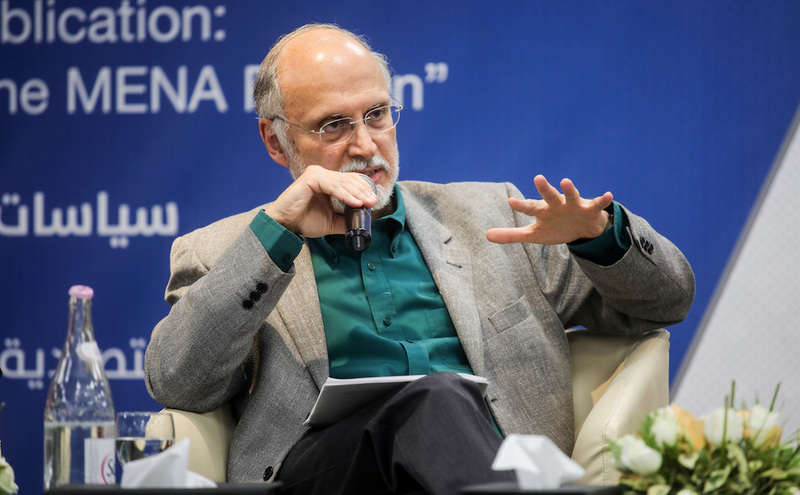 Mr. Saad Filho enriched the conference by an analysis of the impact of financialization on all aspects of life due to the global dominance of neoliberalism. He further highlighted experiences of other countries in the world, particularly in South and Latin America, in dealing with neoliberalism and stressed the vital role of civil society, activism, trade unions, political opposition and networking in improving social justice. His intervention was followed by a panel discussion on the global dominance of the neoliberal discourse and how this has taken form and presence in the Arab world. Participants is this panel were among others the scholars Gilbert Achcar and Mohamed Saadi. In the further progress of the conference, the participants were able to choose between four parallel breakout sessions, in which panellists and participants discussed and analysed key socio-economic challenges of the region. Trade and fiscal policies in MENA: Here, the main aim of the breakout session was to assess what has been the impact of neoliberally inspired policies on trade (mainly liberalizations) and on fiscal policies (mainly austerity and regressive taxation) in terms of social justice. Economic and Social Effects of Climate Change, Food Sovereignty, Regional Disparity and Inequality in MENA: In this session, the discussions cantered around on social and regional disparities in different countries of the region and at the same time offered a closer look into the devastating effects of the capitalist exploitation of natural resources and how this is aggravating the effects of climate change and overall social marginalization for many communities. Especially those living on the social and geographical margins of societies need to be strengthened by sovereignty over their food and basic resources. Employment Policies and Social Protection in MENA: This session focused on the question how new and innovative employment policies can solve one of the larges problems of the region, un- and underemployment, especially of young people. Additionally, it was discussed how well targeted programs of social protection can improve social justice in the region by giving targeted aid to those most in need. International Donors, Financial Institutions, Foreign Influence: In the final breakout session, the debate focused on the demands of international financial institutions, mostly the IMF, on the economies of the region. Through the conditionality attached to loans and credit agreements, the IMF forces many counties to undergo structural adjustment programs to reduce public spending and fiscal stability. While these are certainly necessary, aspects of social justice are often overlooked and also international actors need to take the weakest strata of society into consideration. These breakout sessions were started by case-studies from different countries on these subjects. In the following second part of the breakout sessions, space was given for brainstorming on strategies and possibilities for effective advocacy and political lobbying for social justice. The main questions in these discussions were what could be done to increase regional cooperation and collaboration among actors, who strive to counteract neoliberalism in the region and how a collective advocacy for socially just alternative economic policies could start. Building Knowledge on alternative economic policies by providing alternative studies and scientific evidences that refute the mainstream theories and existing policies. Academics and researchers from the region are called on to contribute to build new knowledge at nation and regional levels. Conference participants called for diversifying public outreach tools by using multimedia and social internet platforms to reach a public as large as possible and to fight for greater transparency on economic policy on the national level. Negotiation skills and bargaining with governments, international institutions (IMF, WTO, WB) and dominant trade partners such as the EU and the US. Democratisation of economic decisions: NGOs, trade unions and other civil forces should put pressure on authorities to increase their participation in decision-making processes by initiating public debate and publish criticism of all economic decisions related to foreign trade and investment agreements that might have negative effects on social justice and/or the environment. Tactical strategy by establishing alliances with stakeholders, who might be traditionally an opponent, but can share the same interest in some fields or periods. For instance, building an alliance with the chamber of industry in the negotiation for free trade can strengthen the front of “protection of local industry” and extend national trade advantages, building so called “Rainbow-Alliances”. Another example is the collaboration with the Ministry of Environment to support environment-friendly decisions. Also praising “good” decisions of the government (signature of climate protection agreement or promoting women’s rights) might help to build trust with authorities and facilitate the advocacy work for social justice. Increase networking, collaboration and cooperation with regional and international NGOs and activists in order to improve advocacy work and to put pressure on the national driving forces of neoliberalism, in particular governments. Activism and advocacy work in MENA region face a great challenge, namely political repression and lack of freedom of expression. For this reason, NGOs, activist and critical academics can increase their influence through cooperation with their regional and global counterpart. 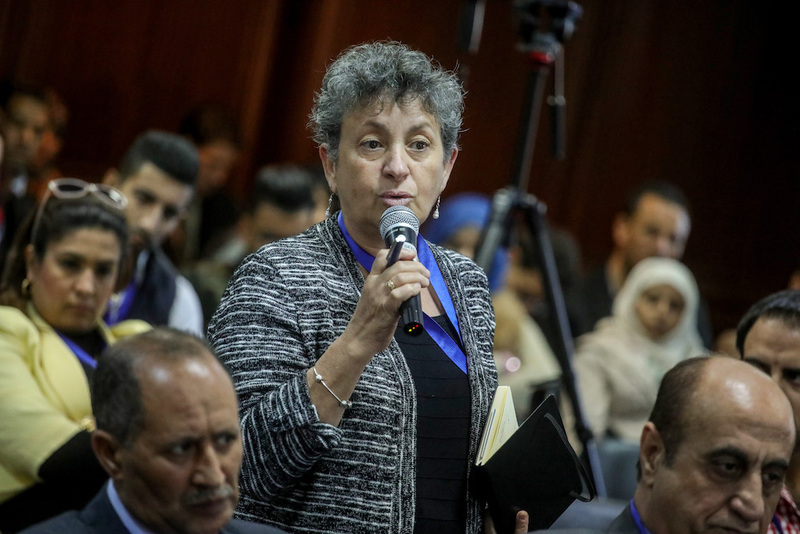 Creating/strengthening independent NGOs and trade unions in the MENA region in order to take over the task of monitoring, accountability and evaluation of governmental economic decisions. Participation in the global movements, networks and NGOs against neoliberalism and support international advocacy work to reform the international economic order. Participants suggested to initiate a global movement to bring Bretton Woods Institutions (IMF, WB) back under the UN-umbrella in order to move them away from dominance by the United States.